We departed Concord on Friday and headed for Carmel Valley, a fantastic and beautiful little town with 19 wine tasting rooms. We stayed there for a couple of nights at the tail end of a business trip to Monterey a couple of years ago and loved it. Unfortunately we did not get away from Concord until nearly 6 pm, and since we had not charged up the batteries fully before departing, we noticed that our headlights were not working properly as darkness fell. 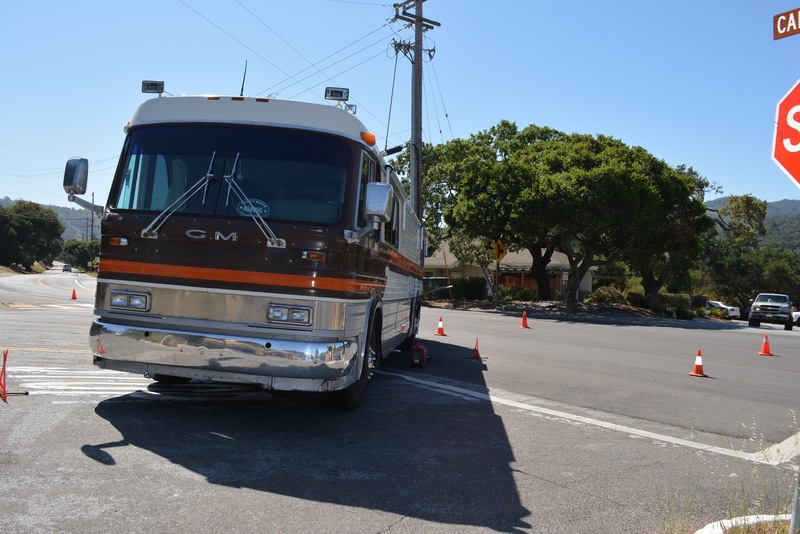 We were looking to stop at boondocking site near Hollister, but the bus decided that Gilroy was far enough, and we pulled into the parking lot of a tractor supply company behind a Sonics to recharge using our generator. By the time we got charged up enough to continue on we realized that none of the owners or managers in the adjacent businesses seemed concerned enough about our presence to bother us, so we decided to stay the night right there. 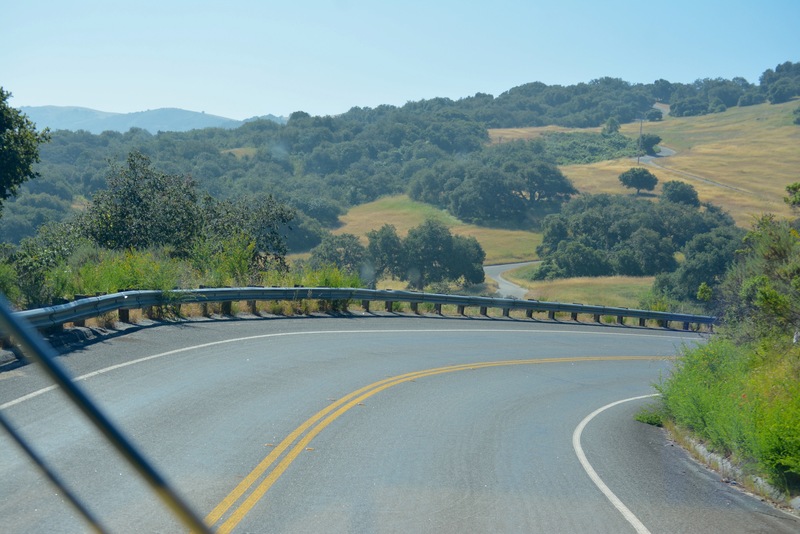 Who would have thought that a road named “Laureles Grade” would have significant grades? The next morning we continued on to Carmel Valley, experiencing the usual excitement on a significant downhill grade the last few miles. 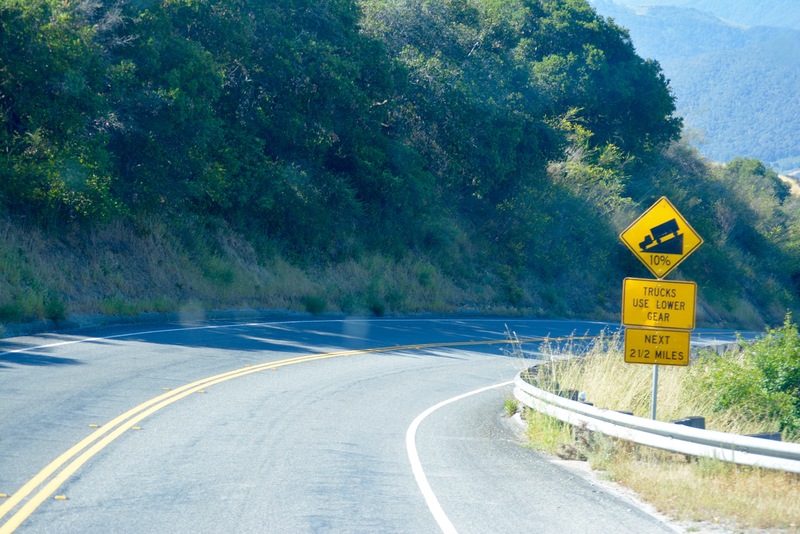 The name of the road, Laureles Grade, was a pretty big clue that we were going to have some steep climbs and significant downhill runs, and it did not disappoint in that regard. Fortunately it was not a particularly long run, and we proceeded with caution and at a very slow pace, pulling over frequently to let the brakes cool. We made it safely into Carmel Valley only to have the Kahuna stall completely in an intersection, perhaps the down hill run had been more electrically demanding on the system, but we suffered the embarrassment of having the fire department show up and direct traffic around us for the 45 minutes it took us to get charged up enough to move into the parking lot of the Running Iron Restaurant. Since we had partially blocked one of the entrance to the restaurant, we felt obligated to eat there, and over a late morning drink and delicious breakfast we began adjusting our plans based on the reality of our bus’ lack of readiness for long distance travel. 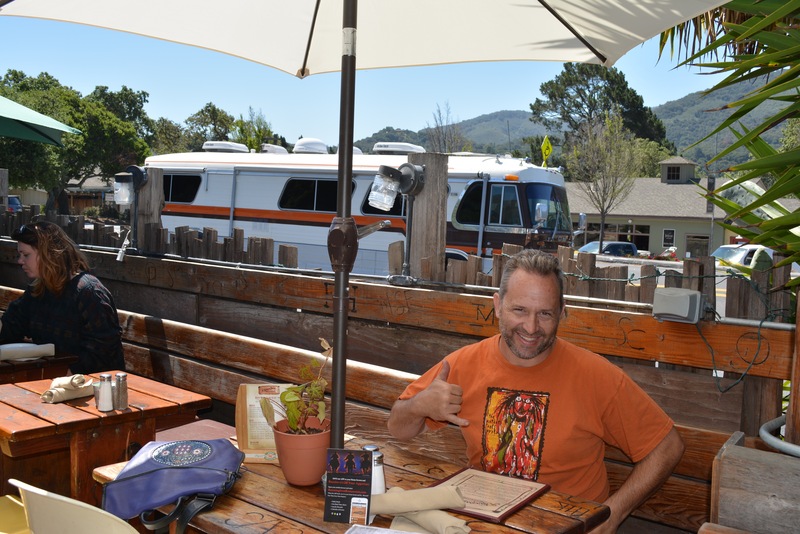 We would head 20 miles down the road to Monterey, stay at the military owned RV park near downtown for a few days, cancel our plans to go to Yosemite, and head straight back to the mechanic in Williams to address the battery charging issues along with some other items we had previously agreed upon. Both Kevin at Bay Cities Diesel ad Ted at Coach Maintenance Company had taken a look at the charging issue, but since the symptoms were not consistently showing up they had not had the time to solve it. Based on the last couple of days, we are pretty sure the symptoms are now ever-present, and we are confident that Ted will solve it next week. It is a bit embarrassing to write yet again about our ongoing mechanical problems, but we are trying to “keep it real” as the kids no doubt stopped saying years ago, and will share the good with the bad. 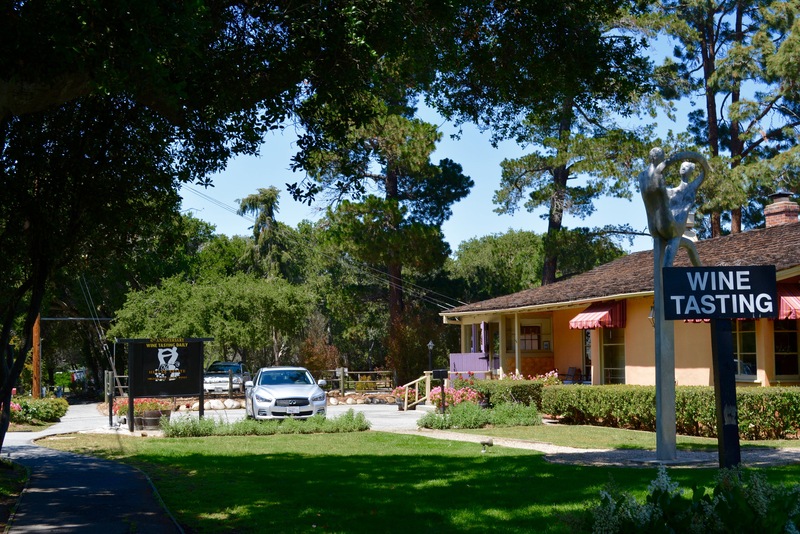 Besides, if you have to be broken down somewhere, you could do worse than Carmel Valley, surrounded by 19 wine tasting rooms, including one of o favorites, Heller Estate. ← The Bus is Back! We are hopeful and reasonably confident that our next mechanic stop will get us in shape for a long run north to you guys and then onward from there. Sending good repair vibes your way!! Hang in there! This too shall pass and you’ll be on the road again. Thanks Karen, we think things will sort out in another week or two.